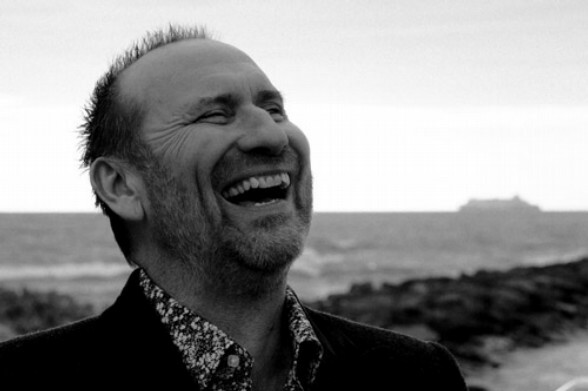 Singer songwriter Colin Hay, most beloved for his intimate, confessional live shows but most widely known for being an influential and celebrated frontman (Men At Work), releases a new solo album Fierce Mercy on Compass Records on April 7. The range of artists who have chosen to cite him as a muse or who have found themselves on stage with him in the past year spans the genre landscape from heavy metal, to Americana, to Cuban rhythms and beyond. His inclusion as a playlist favourite from the likes of Metallica to The Lumineers reflects his continuing relevance and broad appeal. Ten of the album’s 13 stellar compositions were collaborations with Michael Georgiades, who contributed to Hay’s previous sets Gathering Mercury (2011) and American Sunshine (2009). The pair co-wrote two of the album’s stand-outs, the ballad “A Thousand Million Reasons” and the Americana leaning “Come Tumblin’ Down.” “Michael Georgiades is my secret weapon but I guess now with this album it’s not a secret anymore,” Hay jokes. Some of the songs are deeply personal: “She Was the Love of Mine,” is an elegy for the singer’s mother, who died three years ago. Some are novelistic: “Frozen Fields of Snow” recounts the story of a war veteran returning to his childhood home after outliving the other members of his unhappy family. “Sometimes lyrical ideas will come into your head, so you follow them and see where they go,” Hay says. Largely recorded in Topanga with Hay’s wife, Cecilia Noël and Hay’s regular accompanists — bassist Yosmel Montejo, drummer Charlie Paxson, keyboardists Fred Kron and Jeff Babko, and guitarist/tres player San Miguel Perez — Fierce Mercy was completed in sessions at Compass Sound Studio in Nashville with Compass Records principal Garry West at the helm, who also contributed bass on a few cuts. The Nashville players include guitarists Audley Freed (Sheryl Crow, the Black Crowes, the Dixie Chicks) and Doug Lancio (John Hiatt), pedal steel guitarist and organist Jim Hoke (Iris Dement, Don Henley, Darius Rucker) and Compass co-founder Alison Brown (banjo). 2016 was something of a breakout year for this career artist that included a three-week run at the Edinburgh Fringe; performances on The Tonight Show With Jimmy Fallon, Jimmy Kimmel Live! and ABC’s Greatest Hits; sharing the stage with Of Monsters and Men, Milk Carton Kids, Choir Choir Choir!, Kings of Leon; being publicly cited as an influence by artists as distinct as James Hetfield of Metallica, Jeremiah Fraites of The Lumineers, Troy Sanders of Mastodon, and The Infamous Stringdusters; as well as the completion of a documentary film about his career entitled Waiting for My Real Life, named for one of his best known solo recordings. Now finding himself in the unprecedented place of having both ’80s fame and indie credibility, it’s possible that Hay has delivered the defining album of his solo career. Why Courtney Marie Andrews should be on your list of ‘Must-See’ Live acts.